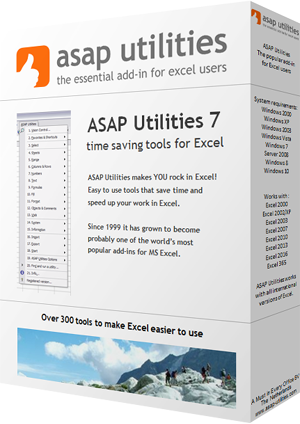 With this utility you can copy and paste multiple selected ranges at once. If you have selected multiple (non-contiguous) ranges you cannot easily copy this in Excel. If you try to do this you get an error similar to "The command you chose cannot be performed with multiple selections. Select a single range and click the command again.". If you can copy it, because the ranges are all on the same columns or rows then Excel ignores the empty rows or columns in between. With this utility you can now easily copy these cells.